Winner of the 2013 DeGroot Prize. 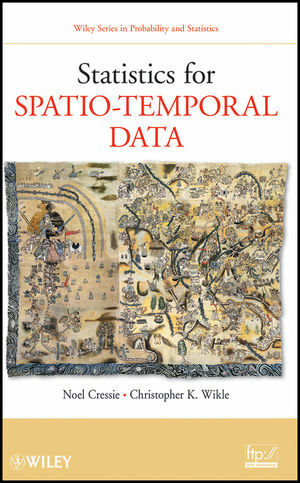 Statistics for Spatio-Temporal Data has now been reprinted with small corrections to the text and the bibliography. The overall content and pagination of the new printing remains the same; the difference comes in the form of corrections to typographical errors, editing of incomplete and missing references, and some updated spatio-temporal interpretations. From understanding environmental processes and climate trends to developing new technologies for mapping public-health data and the spread of invasive-species, there is a high demand for statistical analyses of data that take spatial, temporal, and spatio-temporal information into account. Statistics for Spatio-Temporal Data presents a systematic approach to key quantitative techniques that incorporate the latest advances in statistical computing as well as hierarchical, particularly Bayesian, statistical modeling, with an emphasis on dynamical spatio-temporal models. Cressie and Wikle supply a unique presentation that incorporates ideas from the areas of time series and spatial statistics as well as stochastic processes. 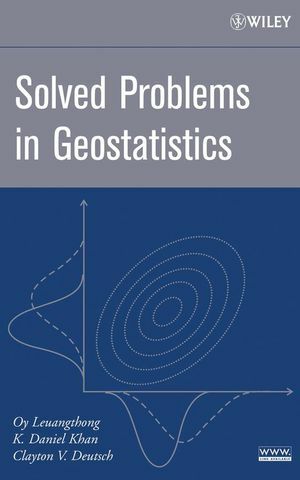 Beginning with separate treatments of temporal data and spatial data, the book combines these concepts to discuss spatio-temporal statistical methods for understanding complex processes. Throughout the book, interesting applications demonstrate the relevance of the presented concepts. Vivid, full-color graphics emphasize the visual nature of the topic, and a related FTP site contains supplementary material. 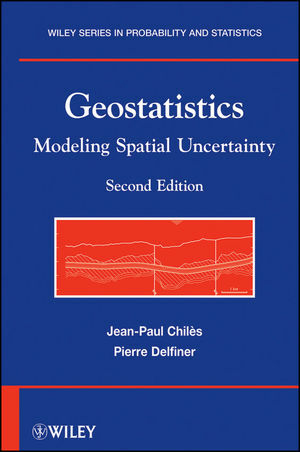 Statistics for Spatio-Temporal Data is an excellent book for a graduate-level course on spatio-temporal statistics. It is also a valuable reference for researchers and practitioners in the fields of applied mathematics, engineering, and the environmental and health sciences. Noel Cressie, PhD, is Professor of Statistics and Director of the Program in Spatial Statistics and Environmental Statistics at The Ohio State University. A Fellow of the American Statistical Association and the Institute of Mathematical Statistics, he has published extensively in the areas of statistical modeling, analysis of spatial and spatio-temporal data, and empirical-Bayesian and Bayesian methods. He is a recipient of the R.A. Fisher Lectureship, awarded by COPSS to recognize the importance of statistical methods for scientific investigations. 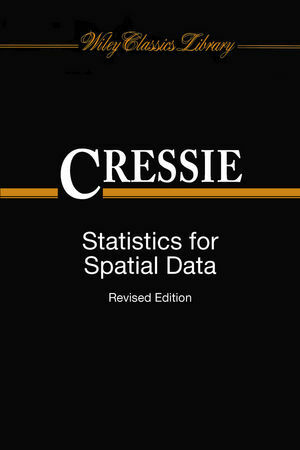 Dr. Cressie is an advisor for the Wiley Series in Probability and Statistics and the author of Statistics for Spatial Data, Revised Edition. Chirstopher K. Wikle, PhD, is Professor of Statistics at the University of Missouri. Dr. Wikle is a Fellow of the American Statistical Association and the author of more than 100 articles on the topics of spatio-temporal methodology, spatial statistics, hierarchical models, Bayesian methods, and computational methods for large data sets. His work is motivated by problems in climatology, ecology, fisheries and wildlife, meteorology, and oceanography.